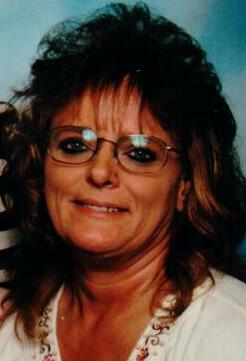 Jodi A. Poling, age 51 of Bear Hollow Road, Great Valley, NY, died early Friday morning (July 11, 2014) at home following a long illness. Born March 21, 1963 in Olean, NY, she was the daughter of the late Frank and Bonnie (Kennedy) Creeley. On June 14, 1986 she was married to Douglas Poling, who survives. She had been employed at the former Robert Gordon Enterprises in Salamanca for 5 years and was a homemaker. She enjoyed researching the geneology of her family and spending time with her children and grandchildren. Surviving besides her husband are 3 daughters; Keira (Blaine) Reardon, Killbuck, NY, Sara (Travis) Aderman, Allegany, NY, Katie (Damian Stokes) Poling, Salamanca, NY; 7 grandchildren; 2 sisters, Paula Creeley, Salamanca, NY, Terri-Lynn Stallard, Virginia; and her step-father, Terrance Stallard, Salamanca, NY. She was predeceased by her step-mother Jeanne Creeley. Memorial visitation will be held at the O’Rourke & O’Rourke Inc. Funeral Home, 25 River Street, Salamanca, NY on Wednesday from 10 am to 12 pm at which time funeral services will be held with the Rev. Michael Lonto of St. Mary’s Episcopal Church officiating. In lieu of flowers the family suggests donations be made to the Roswell Park Cancer Institute Memorial Fund.